A great option for coffee and a decent brunch style menu as well. Espresso bar with delicious baked goods. A little eatery specialising entirely in chlebicek (a classic Czech open-faced sandwich). Absolutely delicious. We went there for breakfast almost everyday. A very popular restaurant serving good local food (and very large portions). Very touristy but a bit of an institution in Prague and worth a visit. Delicious for breakfast - Would definitely recommend to book. Quite a casual restaurant in a really modern space. If you're a fan of meat (particularly red meat) you will love this place - I would highly recommend the beef carpaccio (the best I've ever had and great value). This was recommended to me by a very close friend and it did not disappoint. Great food, wine and ambience. Would suggest making a booking as it seemed to be really popular. My partner and I are a huge fan of a good burger and Prague is a great place for this. Dish is essentially just your classic burger bar done well - nothing fancy but quite a cool/casual restaurant and great food. Another place that was recommended to us for a great burger (that we didn't manage to try as the line was always crazy) is Nase Maso. It's opposite Sisters (above) and is literally just a butcher shop (so little to no seating) but judging by the crowds and the look of the burgers we were sad not to try it. A very funky cocktail bar and extremely popular so make sure that you get there early. Described by Taste of Prague as the more casual little sister of Hemingway Bar with (in our opinion) an equally good cocktail menu. A very good option if you can't get in to Hemingway Bar. Fantastic bartenders and (random but notable) popcorn on tap. We stayed in an AirBnB about 5minutes away from Wenceslas Square and it was a great location - very close to everything. Mum and Dad stayed in an AirBnB on the other side of the river (very close to Charles Bridge) and they would also recommend that area. There seem to be great food options everywhere and Prague is very walkable so location wise it seems hard to go wrong. While markets can always be dependant on season and weather, we went on a fine, cold day in April and this market was hugely busy (both with stalls and customers). A great way to spend a Saturday morning with lots of local produce and meal options. Also right by the river so a nice location to walk. If you are a sweet tooth Trdelník (rolled dough, wrapped around a stick and then coated in sugar) filled with ice-cream are a must - You can find them everywhere too so it's not a hard one to try. I didn't realise before I went but Prague is filled with amazing restaurants and eateries - The above are the ones we tried and enjoyed but there are so many others. The website Taste of Prague has a huge amount of recommendations for anything and everything (and we utilised this site our whole trip). They also offer food tours - we didn't do one as we were too late to book but if you're into your food they look great. 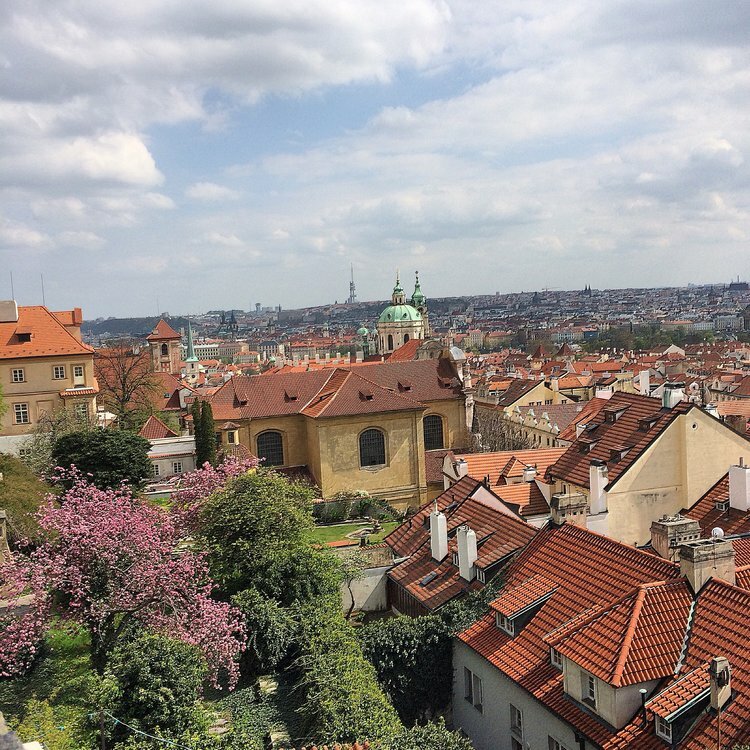 Try and get to the outer city suburbs - they are not difficult to walk to (Prague itself is a very walkable city) and are great to have a wander around. Probably not necessary to mention but beer is SO CHEAP in Prague so make the most of it.